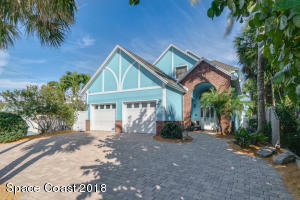 Buying or selling a home in Cocoa Beach? Florida Property Center can help. If you have questions about any of this information or if you’re prepared to get started, you can contact Florida Property Center here or e-mail at broker@floridapropertycenter.com. There are plenty of things you’ll want to do before you start searching for a home. Put together a checklist of items you need, get a feel for what school districts and neighborhoods you want to live in, and begin planning your budget. A good rule to adhere to is that your mortgage payment should be around a third of your net monthly income. Get together with one of our real estate agents and talk about why you want to buy a home. We’ll talk about the mortgage and housing industries, other economic factors that could affect your purchase today or in the future, as well as neighborhoods and schools in the Cocoa Beach area. We will begin finding available houses on the market through our MLS that match your criteria. Then we’ll schedule appointments to tour the houses when it’s convenient for you. When we tour houses, we will point out good features and negative ones. And we will ask you to tell us about things you like and dislike. Oftentimes, buyers amend their list of must-haves as we view houses and some items become more substantial than others. 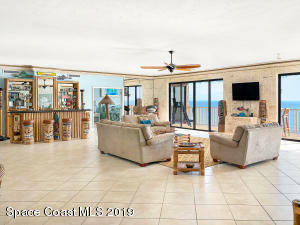 Your agent’s understanding of the Cocoa Beach housing market is a necessary factor in your house search. When we tour homes, we will be sure to tell you if the asking price has room for negotiation or if we believe the house is “priced to sell.” After looking at houses you too will begin to get a feel of the housing market and become more comfortable with your decisions. Our understanding of the market will help you stay a step above the rest throughout the entire deal. 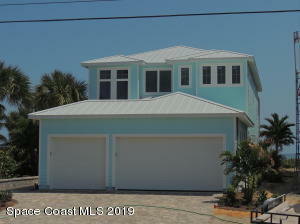 We’ll find the home of your dreams in Cocoa Beach. When that happens, we will precisely create your home purchase offer. 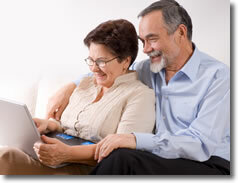 The offer will be tailored to suit your needs, including several contingencies. A few examples are getting financing, finishing the inspection, and a clear title. When sending in your purchase offer, most likely you’ll want to submit “earnest money.” This is a cash deposit made to a seller to secure an offer to buy the property, and it’s usually put towards the cost of closing. If your offer is accepted by the seller, we should close on the property about 30 to 60 days after. 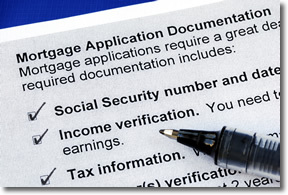 This allows sufficient time for your mortgage financing. Most contracts don’t close on the beginning offer – it’s widely common to receive a counter offer. Don’t let this intimidate you. We’ll discuss whether or not to agree to the counter offer, submit our own counter offer, or decline the seller’s offer and move on. The state of the market will play a vital role in how aggressively we negotiate the deal. In addition, we’ll work within your financing budget. And at the end of the day, we’ll assemble a deal that’s best for you. Once we sign the final deal, you’ll begin working with your mortgage lender to close the loan. If you’re already pre-approved, it won’t take much time at all, but you’ll need to keep in close contact with your lender. And we’ll sort out all the property information your lender will need to close the loan. We encourage all of our buyers to get a home inspection. Sometimes the information contained within the report will cause you to cancel the contract or could provide opportunity to renegotiate. Your mortgage lender will send you a Good Faith Estimate (GFE) of closing costs within three days of accepting your application. You’ll get a Good Faith Estimate (GFE) outlining your closing costs from your mortgage lender within three days of taking your application. This estimate is formed from the loan amount, and RESPA requirements mandate that it has to involve all closing costs and fall within a tight range of accuracy. We will review the estimate and let you know if everything looks adequate. Then we’ll close on your home. This should happen through a title company and should be a smooth and easygoing event. Success! Now you can move into your new house. Enjoy it. And if you need anything or have any questions, simply contact us at (321) 783-2620 or send an e-mail. Get more information on the real estate market in Brevard County.